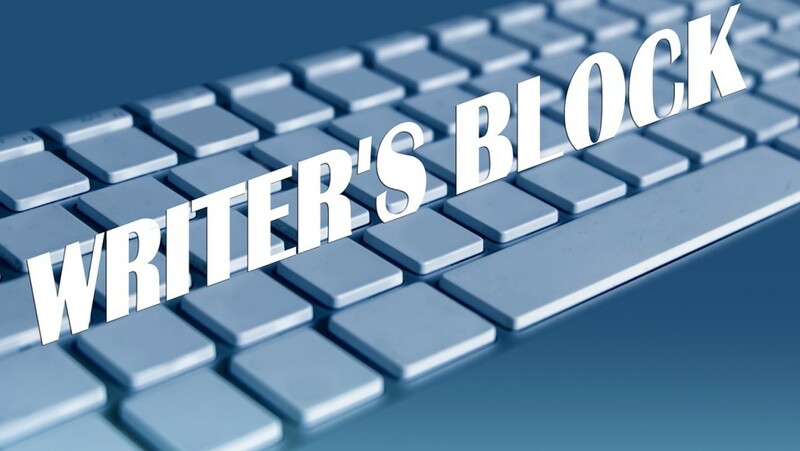 7 Hacks to Beat Writer's Block - Blogger I.Q. Imagine, as a writer, if you were able to not just combat the below given common problems but also turn the tables and use it to your advantage that enables you to finish your creative work as soon as possible. In this post, we will see the methods we can use to combat and make these hurdles our allies. This is not an exhaustive list but these play the top 7 seemingly villainous roles in damaging your creative writing. The #1 distraction in today’s world is our own smartphone and its sincere notifications. The very tool that we invented to save time is now costing us more time. Best thing to do when the creative juices flow to you is to keep the phone aside. A friend of mine, who is also a blogger, does one very simple thing while writing – he keeps the smartphone switched off with a voicemail activated saying that he is busy in a secret project – which is mostly writing work. So when he goes back online, he is sure of getting curious messages and calls back asking what was the secret project from his friends – thus a dual win situation – he not only focused when he had to but also got his first set of audience ready to ask what he worked on when he was “offline”. This is sometimes a tricky problem. It’s tricky because of the obvious reason that with certain background noises and sounds we cannot concentrate on our work. However, there are certain scientifically proven sounds that boost creativity. It’s highly recommended that you start experimenting with these simple methods and start working. I once read an article that having some abstract background noise or music helps us focus more – with semi-focused ears, the brain and mind works like a warrior. This not only played music but also magic on me, literally. Now I cannot work without that coffee shop noise or rain cloud rhythm or a gentle jazz music in the background as I have experimented and found it to be true when I frequented to a Starbucks coffee shop and that’s when a lot of my posts got its shape. I also have developed a tool for writers and bloggers alike who want to focus on writing (who doesn’t want to?) with background noise therapy. Try it out here. This is the voice inside your head that constantly tells you some stuff about your life or others life from the past, present, future, outer space and everywhere. If you want to stop this, I recommend two methods: 1. Take a quick shower – not only this quietens the mind, it also redirects the mental chatter to a useful one. 2. The second method is sitting quiet and watching the thoughts fall off one by one – something like meditation – use can also use Headspace to accomplish this. A library of books has been written to tackle this common problem of every writer. You might pull your hair or bite your nails, but this won’t leave you until you do. Just forget the writing work for a while and go do some other routine job like mowing your lawn, having a cup of coffee with a friend, cooking food in the kitchen or making a sandwich. It will all come back in place when you defocus yourself. What goes around, comes around. You will soon have the ideas flowing back to you, effortlessly. This is the silent killer of all. Editing while writing kills a lot of raw creativity than you can imagine. That’s why I developed a tool and use it for all my own projects and blog posts while writing (this post too was written using VoicePaint). The highlight of VoicePaint is that it doesn’t allow you to edit while writing. It also shows you just a tiny window what I call as ‘Worm’s-Eye View’ while writing. Neither the Backspace key works nor the Delete key. I have disabled them both, so once done with writing and my thoughts are all on the screen, I just export and do the editing work later. This way I first put the raw written work on the table and then sit with the marker in hand to make the corrections, alterations, formatting stuff – which anybody can do – I can even send it to my VAs so I can only focus on the work’s core, which is writing. Just as mentioned in the previous point, formatting is another silent killer that doesn’t let you write with all your mind. It constantly diverts your attention by giving unnecessary ideas on different formatting options while you type your creative writing. Just write your masterpiece, you can format it later on. Ignore the superficial beauty temporarily. You can never say when creativity strikes you but when it does and if you find yourself in the middle of doing some routine stuff, it’s ok. Just gently encourage the idea and let it take wings – slowly put those thoughts down on paper and write it down. As soon as you capture the thoughts – come back to your desk or whiteboard, elaborate it or record it in writing somewhere. This way the routine work cannot become your barricade, instead, it helps your creativity to flow even better. If you read carefully above, almost all the villains above are actually helpful if we see and treat them in a proper way. A smooth sea never made a skillful mariner. Focus on your creative work, use the right kind of tools and you are well on your way to finishing your work. Nice Post Arun, And I think there has to be some strategy or schedule to research about new trends and topics. I used to sit every weekend to visit forums, question to determine what I can write about and where I can be helpful. Every weekend I used to decide few topics and then write about those. This strategy will give little relief about what to write. Good insight, Deepak! Thanks for writing in! I totally agree with you. Visiting forums and discussion groups is a sure shot way to find our next inspiration.